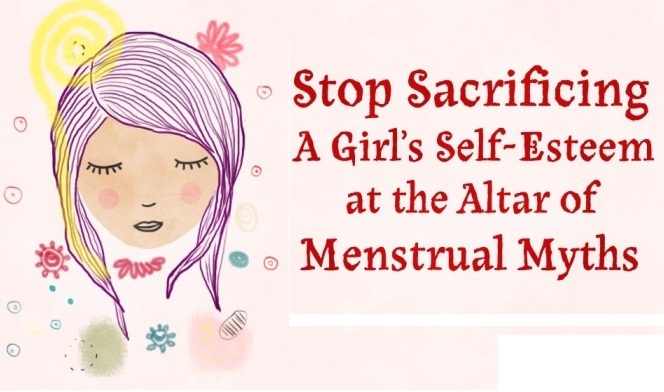 Menstruation is the natural and most important part of a woman’s life that can never be ignored. Menstruation when about to be start, woman feels some cramps that are painful, irritating and unbearable. 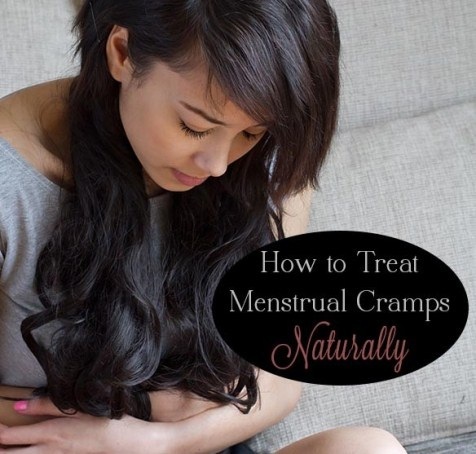 The severity of cramps increases within the first and second days of menstrual periods. There is a reason behind having menstrual cramps. A hormone is released during the menstruation called prostaglandin which causes the uterine muscles to contract and expand rapidly and it causes painful sensation. The areas which are suffered from the menstrual cramps are lower abdomen and it gradually spread to the lower back and thighs. The pain is a kind of sore and dull to those areas. Some women feel before the arrival of the menstrual cycle. Severity of menstrual cramps can be due to some factors such as early age of puberty, genetics, and heavy clots of bleeding and unhealthy habits like smoking, drinking, illegal drugs. In many women, menstrual cramps are completely finished after delivering the child. 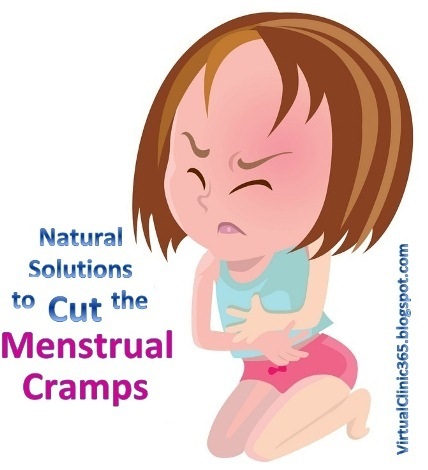 Menstrual cramps can be disappearing and you can ease your pain by doing some natural home remedies because these remedies are effective and quickly give you comfort. Here are some useful remedies for menstrual cramps. Give some heat to the lower abdomen which is the easiest way to comfort the painful menstrual cramps. Heat reduces the pain and make you feel relax the contraction and expansion of uterine muscles. With the help of hot water bag, give heat to the part of lower abdomen and lower back area. If you do not have hot water bag, you can also put a bottle filled with hot water. Lay down with the bag until you feel some difference. Alternatively, take a towel and soak it in the hot water then squeeze out the excess of water and apply this hot towel on the lower abdomen until you see the towel has now become cool. Repeat the process until you see the pain is slightly gone. Taking a hot shower will also relief cramps. Ginger is a great herb available anytime at every one’s home. It is really effective to reduce menstrual cramps. Ginger also play an amazing role in making your periods regular and fight with the syndrome related with the premenstrual cycle. Take a small piece of ginger and grate it finely. Now in a cup of water, boil the ginger powder for about five minutes. Strain it with the help of strainer then add a little amount of honey and lemon juice. Drink this solution at least three times a day during your menstrual periods. You can also add adequate amount of ginger in your meal. Basil is another ingredient which is an excellent herb for lowering the severity of cramps during menstrual cycle. A substance called caffeic acid present in basil which has analgesic properties or in other words, you can say it is a pain-killing substance. Take a cup of boiling water and add one tbsp. of basil leaves Cover the boiling pan tightly and allow it to cool down after it has been boiled. Drink this solution every few hours during menstrual periods for relieving the pain. Otherwise, you can take a handful of basil leaves and crush them then extract the juice from it. Now add two tsp of the juice in a cup of warm water then drink three times daily when you feel pain. Add fresh basil leaves to your daily diet. Cinnamon is an amazing ingredient for reducing the cramps during menstrual cycle because it has antispasmodic, anticlotting and anti-inflammatory properties. Cinnamon is also a good content for dietary fiber, calcium, iron and manganese. Take one-fourth tsp of cinnamon powder and add it into a cup of hot water. Sit for about five minutes then add little amount of honey and drink it slowly. You should have to take three cups of cinnamon tea two days before your period starts to prevent from the menstrual cramps. Add one-half tsp of cinnamon powder and one tbsp. of honey to a glass of warm water. Drink this tea three times at the first day of your cycle. Fennel is amazing taking during the menstrual cycle due to containing excellent properties such as phytoestrogenic and anti-inflammatory actions that quickly reduce the pain during the cycle. Fennel helps in relaxing the uterine muscles. Take a cup of boiling water and add one tsp of fennel seeds in it. Heat the solution until the bubbles start to appear for approximately five minutes. After that remove the pan from the stove and then strain the tea. Now add one tsp of honey and mix the solution well. Drink this tea at least for two times regularly and it is good to drink at the starting three days before the expected periods. Blackstrap molasses is just a kind of syrup that has proven to stop the pain and cramps during the menstrual cycle. The syrup is enriched with calcium, iron, potassium, magnesium, manganese, vitamin B6 and selenium. Blackstrap molasses helps in making you comfortable from the clots and contractions of the muscles of the uterus. Take a cup of warm milk and add blackstrap molasses. Drink at the time when you feel slight cramps and continue drinking it until you see some difference in cramps. The severe cramps happen while the muscles of uterus begin to expand and contract so chamomile tea is good for this purpose to reduce those menstrual cramps because it possess antispasmodic properties. Now pour a chamomile tea bag in the water. Cover the lid and let it become sheer for about 15 minutes. After that squeeze out the tea bag and then add a little amount of honey as per need. Drink this tea before the week of your expected period. Parsley is very important for reducing the pain because it has two important compounds, apiol and myristicin that are highly active in relieving the pain related to the menstrual periods. It also works to regulate your irregular cycles. In a mug, put down one-fourth cup of parsley. Now pour it down in one cup of boiling water. Simmer it on the low flame of heat for about five minutes. After that strain the solution and mean while drink it. 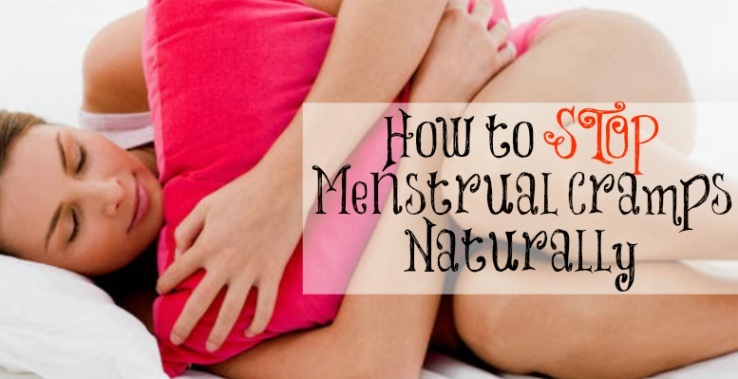 Follow this remedy twice a day during your menstrual periods. Flaxseed is available at every one’s home so it is now easy for every woman to reduce the pain immediately using the flaxseed. It actually lowers the sensitivity of menstrual cramps because it has some essential fatty acids that help in calming the pressure exerting on the uterine muscles due to which you feel cramps and also producing the progesterone. It also helps in treating the fertility problems. What would you have to do is when you feel cramps, consume three tbsp. of flaxseed. Also you can have grinded flaxseed sprinkled over your salad. Papaya has anti-inflammatory property that is very helpful for menstrual cramps to be gone. Papaya contains some nutrients such as carotene, iron, calcium, and vitamin A and C that are very workable in treating with the contraction of uterine muscles. Try to include papaya in your daily diet and consume it before and during the menstrual periods. With the help of these remedies, you’ll feel very relaxing and see the good results. Along with this, you should also do yoga or cardiovascular exercises to fight against menstrual cramps. Try to have plenty of water and in case, if you have severe pain then must consult a doctor.